Hello! 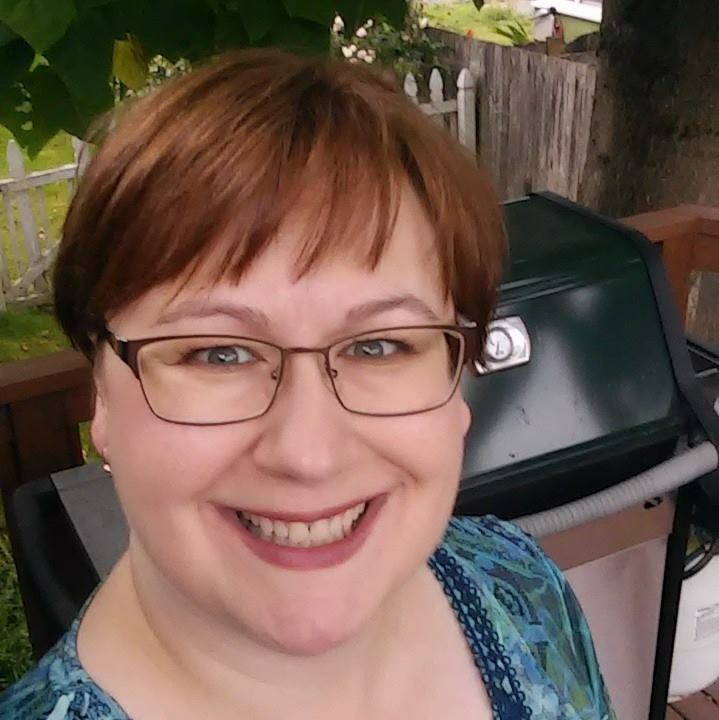 It’s blog hop time! 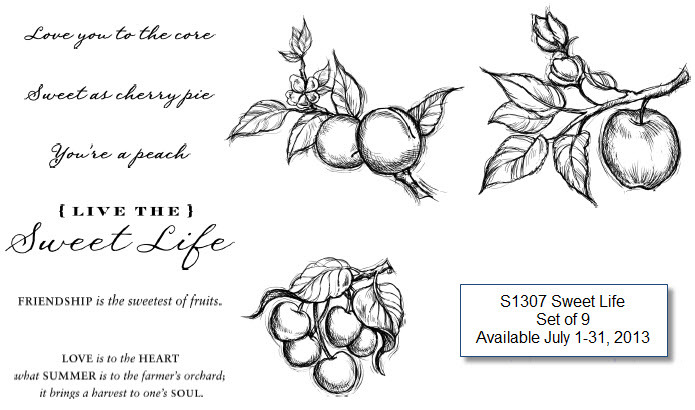 This month’s stamp of the month is “Sweet Life.” If you've already been hopping, you've just come from Priscilla’s blog. My project is a magazine file cut from the Artiste Cricut Cartridge with a 3D rose cut from the Art Philosophy Cricut Cartridge in Cotton Candy pink. I’m using up some of the fabulous Dream Pop paper left over from the May promotion. I stamped the sentiment in white and embossed over it with white embossing powder because my white wasn’t white enough. I think it’s time to get a re-inker for my white pigment ink pad. The polka dot ribbon is our Slate Ribbon. All the sparkle comes from our Stardust Glitz. I love our glitter gels. They’re so economical and they go a long way. Sweet Life is only available in July. It’s a D sized stamp set for $17.95. However, when you order $50, you’re eligible to receive it for $5! Here’s what the whole stamp set looks like. Love is to the HEART what SUMMER is to the farmers orchards, it bring a harvest to one's soul. Now hop on over to Tamytha Jenkin's blog to see her amazing artwork. There could be lots of breaks in the hop this month as people are traveling home from our annual CTMH convention today. They aren’t to check on their links for a few more days. Here’s a complete list of hoppers so you can keep going! With the Artbooking Bundle Collection you receive the cartridge, 3 Collection Exclusive D-size stamp sets & 3 - 12" x 9" Dimensional Elements in coordinating shapes. - Themed photo mats that are proportioned to the pictures we scrap with most! 4x6, 4x4, 5x7 & more! - Font – It’s beautiful and my new favorite! I’m having a pre-order special! Click here for more details! Are you in love? I’m taking pre-orders starting 7/15. I know there’s specials out there right now… Guess what? They all ship from the same warehouse starting 8/1. Read why I’m waiting a couple weeks to take your order. It’s to YOUR benefit to wait! Click here for more details! They did it again! It’s another over the top-phenomenal Cricut cartridge!!! How would you like to have a pre-designed scrapbook layout at the touch of a few Cricut Buttons? There’s basic layouts for everyday as well as themed layouts for holidays and occasions (new baby or school days). And then there’s 10 mini-albums! They’re designed to be any size but when cut at 8” tall, they fit in our new Kraft mini--binder! These stamps would pair nicely with Becky Higgins' Project Life memory keeping. “This week” is perfect for capturing a week’s worth of memories on 1 page. I can’t wait to get my hands on this cartridge next week. I’ll take close up pix of everything! I’m going to be offering a pre-order special! Leave a comment if you’re interested with your email address. (I moderate all comments and won’t publish it). I’ll contact you directly in the next few days to arrange your pre-order. Your order cannot ship before 8/1 but you will still be one of the first to receive it! Need a temporary closure for your papercrafted projects? Hook & Loop dots are perfect for enclosing memorabilia, sealing a purse, securing a box, and more! I used them on the purses I created this spring. See the blog posts here. Now watch this video featuring the hook & loop dots that I used to secure these bags. Can’t see the video? View online here. Purchase the hook & loop dots here. Avonlea papers, Just Blooms paper flowers (already in While Supplies Last), Wrangler Assortment, and A Friend Like You stamp set. Here’s the link to the whole list for your printing convenience. *Paper packs, embellishments, tools, organization, ribbons, albums, My Creations items etc. ---- When it's gone, IT'S GONE!!!!! 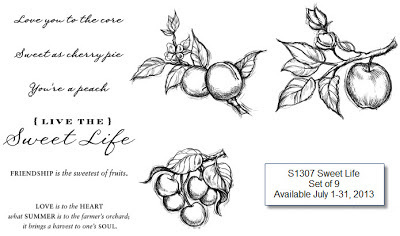 *Stamp sets - are manufactured at CTMH, thus all stamp sets will be available until July 31st! My recommendation: If there’s a non-stamp item that you need, get it NOW! If you love our New England Ivy Green Leather Albums, get them now. They will probably sell out in the next week or two. The Workshop on the Go also tend to sell out quickly. Except for the Canvas one, order them now! The Canvas WOTG will be on sale next month. All colors of embossing powder except clear, silver & gold. All paper packs except For Always, Chantilly, Tommy and Surf’s Up. Spend $25, including a stamp set, get My Creations Milk Cartons FREE ($4.95 value). This will automatically ship in your order from CTMH. If you place $50 in orders with me since the last Idea Book, I will send you the Autumn/Winter Idea Book for FREE next month!!! Join my “Free Gift” gathering and you’ll get freebies from me too! Here’s the list for you to browse: I have crossed off some items as they were discontinued. I do not maintain this list on a regular basis. Sympathy cards are hard for me to create. There’s always so much emotion behind them. I find that it’s best to have a couple always on hand so they can be sent when needed. This cards is nearly an exact copy of the one featured in our 2013 Spring & Summer Idea Book. Why copy? It’s an Idea Book, not just a catalog. I also created it with a birthday sentiment and they were just as lovely. This card is great for scraps, and tiny scraps at that! The papers are from Claire & Surf’s Up. The stamp set is Card Chatter – Sympathy and Girls Rock, one of my most-used stamp sets ever. Learn how to make your stamped images stand out by using the alcohol blending marker and Exclusive Inks® marker sets for better blending! Watch the video to discover all of the tips and tricks. If you cannot see the video, click here to view it online. Markers are sold 2 per package so you will always have the perfect color to blend with. See them online. This is very exciting news! My heart goes out to Creative Memories consultants world wide as they wait to see what happens to Creative Memories during their bankruptcy. (June 11, 2013 — PLEASANT GROVE, UT) Close To My Heart, Inc., a US-based leader in the direct sales scrapbooking and stamping industry, announced today its plans to expand in the Australia and New Zealand markets. The company expects to commence operations as soon as early July 2013. The company is working with long-time in-country expert Brian O’Callaghan, former General Manager of Creative Memories Australasia, as well as Susan Wilmot and Diane Lampert, both successful former Senior Directors of Creative Memories Australia. Together, the US-based Close To My Heart team and Australia-based team have begun collaboration on product mix, pricing, compensation plans and anticipate offering a unique opportunity for former Creative Memories Consultants and their entire teams as well as others interested in a ground-floor business opportunity in scrapbooking and stamping. Close To My Heart Australasia has legally acquired Creative Memories Australia’s databases of Consultant and customer names with contact information and distributor genealogy structure. Great care is being given to respect and comply with privacy rights. As part of the new business, Close To My Heart has agreed to offer relief to former Consultants and customers of Creative Memories Australia for certain unfulfilled obligations. This relief, which will include a programme to redeem sold vouchers for digital products, free e-commerce websites for Consultants, and a discount programme, for a limited time, to provide value to members of Creative Memories’ VIP Club, will help support Consultants and customers of Creative Memories Australia at a time of transition and give them some return on the investment left unfulfilled by the former company. The new Close To My Heart subsidiary will be known as Close To My Heart Australasia and will benefit from the operational strength, marketing resources, diverse product ranges, and the stability of its debt-free and profitable parent company, Close To My Heart, Inc. The company is committed to its focus of memory keeping and related crafts and is known for providing exceptional customer service, top quality products, and competitive pricing. The company plans to announce a schedule of launch and opportunity events slated for July, with a planned creative kickoff in mid-August in Melbourne to supplant the cancelled Creative Memories annual Convention. Today’s beautiful card is also taken almost directly from the 2013 Spring & Summer Idea Book. This was a very popular card and has been requested again for another workshop. It features embossing and our new alcohol markers. I love this combination! The embossing makes a beautiful raised glossy “bumper” that’s easy to color in! It’s much easier to color within the lines and it is color fast. The alcohol markers will not cause the black ink to bleed. For the embossing, I used our black pigment ink cube and clear embossing powder! I love embossing with the pigment inks because you get 10 colors per set and it only takes 1 type of embossing powder: Clear Detail! I must apologize for the awful pictures. I was trying a different photography setup and it didn’t work. The colors of this card are much more vivid in real life! I changed the card from what was shown in the Idea Book by substituting this amazing bow from the Artiste Cricut Cartridge for the For Always textiles that they used. It’s a great pop of color and it’s flat which means it will mail nicely. It keep the flow from squishing flat, I added 3D foam tape inside the loops to give it stability. Tomorrow is Flag Day: Remember to fly your flag with pride. We have 3 Patriotic Stamp sets now thru July 31 to celebrate our nation and Canada. Get them now! $3-5 will be donated to the USO for every set purchased. Back in April I blogged about cutting our Chantilly textiles on the Cricut. Here’s that post. It has great tips and a link to a tutorial on how to prepare your fabric for the Cricut mat. Today, I’ll show you the flowers I promised. Just like the fabric bows, they were cut on the Cricut. The only difference between these flowers and paper ones is getting them glued together. I prefer to use Liquid Glass when assembling paper 3D flowers. These required hot glue. I needed that instant bond because the fabric doesn’t have a memory. If you roll it up and let go, it wants to unroll and does it quickly! Thus the hot glue. I discovered that imperfect flowers are the best. See the one on the top right? I had to fix the center and it crumpled. It looks the best of all the flowers I made that day. Hope this inspires you to create today! Summer is the time for barbeques, pool parties, family reunions, and other get-togethers with loved ones. If you are looking to throw the perfect party, we've got great news for you! You can be one of 20 winners to receive BOTH My Acrylix® Patterned Pennants and My Acrylix® Tropical Paradise stamp sets. All you have to do is tell us your favorite way to party with your friends and family this summer. Watch the video to learn more about the contest and to see some of the fun summer party favors you can create with these stamp sets. If you can’t see the video, click here to view it online. Make a comment on the CTMH Facebook, Jeanette Lynton's blog, or YouTube before June 30, 2013 for your chance to win! Bring your parties to life—Close To My Heart style! Sorry, comments left on my blog will not be entered. In February, my card workshop featured cards from our Idea Book. This is one of them. I modified each of these cards to make them a bit more workshop friendly. Not all of us have that much time as the CTMH designers do. I love how the washi tape allows the color to show through! We used Tresa Black’s faux stitching technique to stitch around the card. No string or needle required. It’s by sanding our white-core cardstock and then piercing stitching holes along that line. Don’t forget: this month with every $25 purchase with a stamp set (sizes A-E) you get a free mini banner set included! 2 stamp sets on a $50 order = 2 free banners! If you’re not getting my newsletter, sign up here. Hello fabulous friends and customers! Last month I celebrated my 2 year anniversary with Close to My Heart. It's been two short, fun-filled years. I'm so thankful for this business because I've been able to connect and make new friends from all across the country. You have helped make this anniversary a fabulous and memorable for me. Thank you for your support and being my customer! This month, we have tons of specials. I recommend keeping this email so you can refer back to them. Tip #1: You're going to see 5 limited-time stamp sets below and a free promotion. If you have any questions about what you see below, please don't hesitate to contact me. I'd love to hear from you and help you get everything on your wish-list. Tip #2: The current Idea Book will be coming to an end on July 31. 7 Paper packs & their coordinating embellishments will be "while supplies last" as of June 30 and fully discontinued July 31st. The "disappearing 7" are: Buzz & Bumble, Later Sk8r, Claire, Avonlea, Clementine, Dakota & Scholastic. Friday, June 28 @ 6:30 pm. Fun & Fabulous 4th Friday Card Workshop. Cost $15 for 5 cards. Almost sold out! Host your own Fun & Fab card workshop in your home on a weeknight. Cost $15 for 5 cards. Your workshop will be free when you have 4 or more guests plus yourself. Available dates: 6/25 & 26, 7/2, 7/9 & 7/10. Friday, July 5 @ 6:30 pm, it's Christmas in July! Advent Calendar Workshop. Cost $45. Please RSVP & prepay by 6/21 so I can order and cut your kit. I'm creating a new option that will include some scripture and a manager scene. You will be available to pick the original design or the new one the night of the workshop. Receive $5 off your workshop fee when you bring a new friend. You can also order a pre-stamped kit so you can make it on your own. Contact me for details. Cricut Expression Class: Date: TBD. Email me if you are interested in learning how to use your machine. We'll make 3 projects using the features of your machine. Close To My Heart is making an upcoming Autumn/Winter 2013 stamp set, A True Thank You, available immediately and will donate 100% of the profits from sales of the set from now through June 30 to the American Red Cross to aid victims of the Oklahoma tornado. Help us provide relief to those affected by the devastating Oklahoma tornado by purchasing A True Thank You stamp set for $2.95 (M1029) today! If you are local, I can add your order. With tax & shipping, it is $3.50 with pickup at my home or NCC. Get a FREE My Creations® Mini Banner! For bloomin’ cute artwork, the My Acrylix® A Flowering Bunch stamp set is the perfect choice. There are adorable floral images that make projects blossom. And don’t forget the sentiments that make a great layout title or thank-you card sentiment. Whatever the occasion, your artwork will bloom with A Flowering Bunch! During the month of June only, you can receive the A Flowering Bunch stamp set for only $5 when you spend $50. Bring texture and sunshine to your artwork! Ready for fun in the sun? Summer is here and so are the sunny rays of the Patterned Pennants stamp set. Use these summer images to document your waves of warm-weather memories. The myriad of versatile patterns on each pennant can be used as individual embellishments, stamped repeatedly for a background pattern or custom B&T paper, masked to create a particular patterned shape, and more! Bring your summer projects to life with colorful rays created with the Patterned Pennants stamp set! Thanks for sticking with me on another fun filled & long newsletter! Come to my home for an evening of getting crafty! Reply to this email to RSVP!